The smart speaker market continues to grow by leaps and bounds, according to the latest data from Strategy Analytics (via Apple Insider). For the fourth quarter of 2018, the three month period that included October through December, global shipments of smart speakers soared 95% year-over-year to 38.5 million units. That quarter alone topped shipments of the device for all of 2017. During 2018, 86.2 million speakers were shipped world-wide. The smart speaker market is a two-horse race at the moment. Amazon created the category with its Echo devices, and remained on top during the fourth quarter. The company shipped 123.7 million units for a 35.5% market share. But Amazon better not look back, because Google is coming on strong with its Home line of smart speakers. For Q4, Google had 30% of the market as it shipped 11.5 million units during the period. Google also saw its speaker deliveries rise 123% from the third quarter, outperforming Amazon (91% sequential growth rate). Apple's HomePod turned in a decent if unspectacular quarter, with units of the device shipped rising 45% from the third quarter. 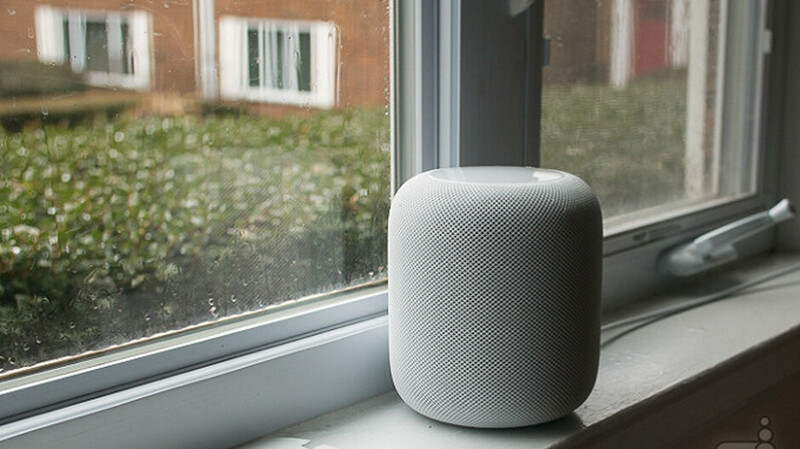 However, Apple still placed sixth with 1.6 million HomePods delivered from October through December, giving Apple a 4.1% slice of the smart speaker pie. Apple is looking up at Alibaba, Baidu and Xiaomi, the third, fourth and fifth largest speaker manufacturers respectively during the quarter. Apple is handicapped because it sells only one model smart speaker, and at its list price of $349, it is quite expensive. Both Amazon and Google have a range of devices that start as low as $50. And occasionally, both the Amazon Echo Dot and Google Home Mini can be found on sale for as low as $25. The key for continued growth in the smart speaker market is penetration. Last month, we passed along data from a report that showed only 21% of U.S. adults own a smart speaker. That could indicate that there is more growth ahead for this product. Good! The HomePod failed as a smart speaker. It had great audio quality, but it's limitations crippled its potential. Siri as been around a long time, yet it is now a long way behind Alexa and Google. Speaker tech is well established,itis very easy to connect a much better speaker to an Echo dot or similar. This is what I do and it sounds so much better than 2 Homepods. Siri will continue to be in last place, especially when the only way a developer can extend Siri is through an iOS app with the use of SiriKit. That limits where Siri can run and what platforms those apps can run on. The other thing is Apple has restricted Siri developers on what they can do with her. The others don't have any of those restrictions or limitations. People talk about Apple's wallgarden, well Siri is even more of a wall garden. It's another reason why Siri will never grow like the others. That and Siri still has nothing to compete with smart displays. It has decent sould, but limited as a smart speaker. Glad to see Apple crash and burn on this product. It is flat out way too expensive and on top of that you pay more for a product that isn't as good. Sure the speaker sounds great but you can buy 3 amazon echo's for the price of one of these. On top of that you can get the cheaper dots for rooms that you don't need the better sound quality. Alexia is also a much better personal assistant then Siri is. Apple really dropped the ball here. "Sure the speaker sounds great but you can buy 3 amazon echo's for the price of one of these. " But why buy 3 crappy sounding speakers if you can buy one great sounding? :) if you want great audio from smartspeaker your options are Sonos, home Max etc. And then the prices are in same league. If I want Great Sounding I will get a echo dot and hook it up to a proper stereo. None of these speakers have GREAT sound. Crap you need two Apple speakers for stereo so you end up spending $700. I can get a much better setup for the same amount of money with a Amazon dot, A decent receiver and set of ELAC or Klipsch speakers. If I want Great sound from a smart speaker setup I'm going to do a setup like this and add a nice sub and not buy any of that garbage. Also you ask why buy 3 "crappy sounding" (The sonos sounds like crap too btw) the whole point of smart speakers at least to me is you put one in each room. Back to my original main issue with the Apple it is too expensive and on top of that Siri isn't in the same league as Alexia or Google Assistant. Home pod just to expensive and limited. It is really a two-horse game. Who cares of sixth place and why even write about it? Nothing interesting there. Homepod is just a dumb speaker due to how restrictive the features are and there is nothing smart about it. If I want a decent sounding speaker then I can easily buy one that sounds a lot better for that price. Glad homepod is doing bad. Apple needs to wake up and not let greed decide what the user gets.